Lotto Football Boots Zhero Leggenda Due FG. The FG version of the Zhero Leggenda Due are stylish Lotto football boots which offer modern styling with traditional design. These Lotto football boots benefit from a high quality, water resistant k-leather upper which gives high levels of feel and comfort. The sole on these football boots is a moulded FG sole with Punto Flex technology and an external heel counter. 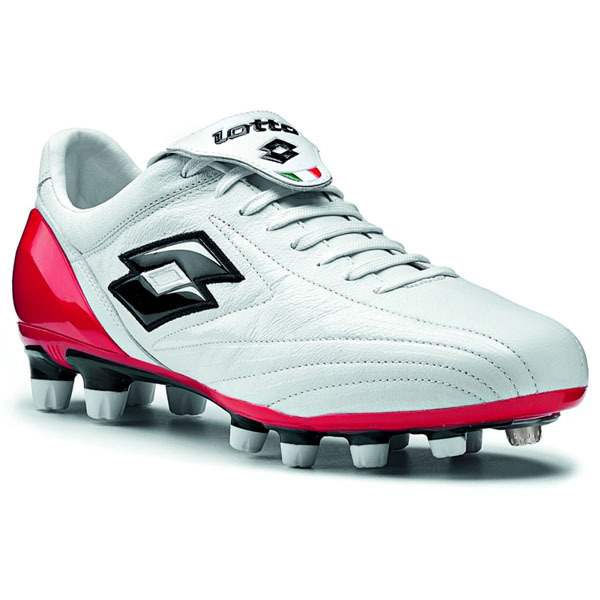 The Zhero Leggenda Due are superb value Lotto football boots designed for professional use.